Hi all! 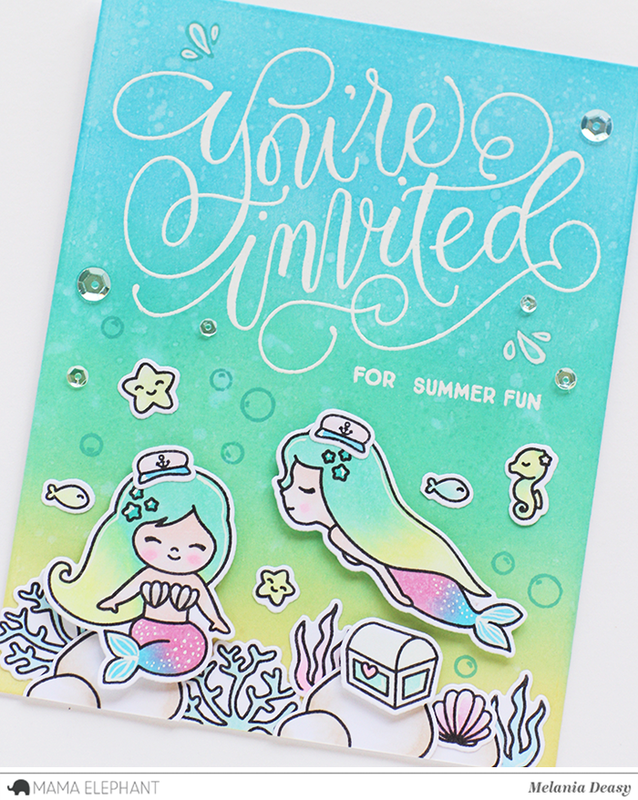 It's Deasy here and today I want to share my summer invitation card featuring Invitation Wishes and DIY Invitation stamp set. 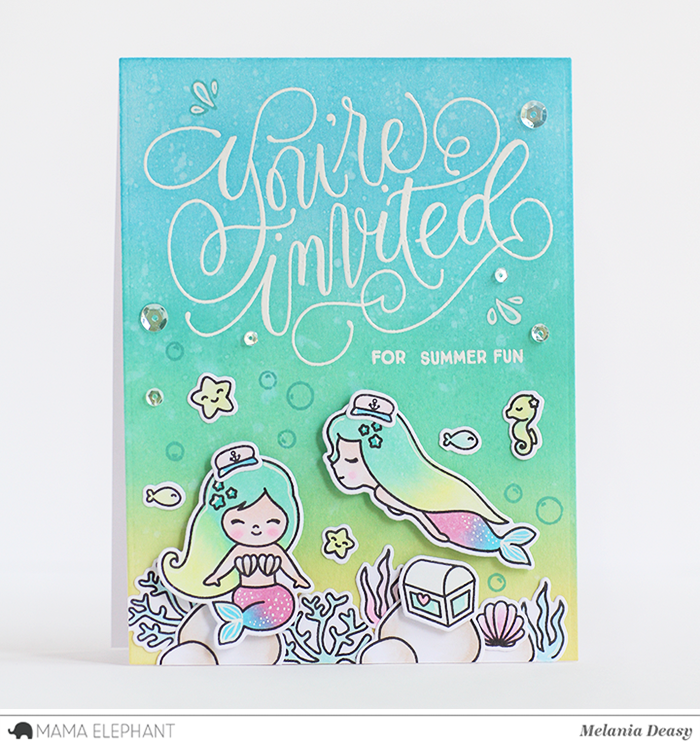 I stamp the images, color it using copic then die cut it. To color the background, I'm using Dye Ink with blending tool then splash water with my brush. For the embellishment, I add some clear sequins. 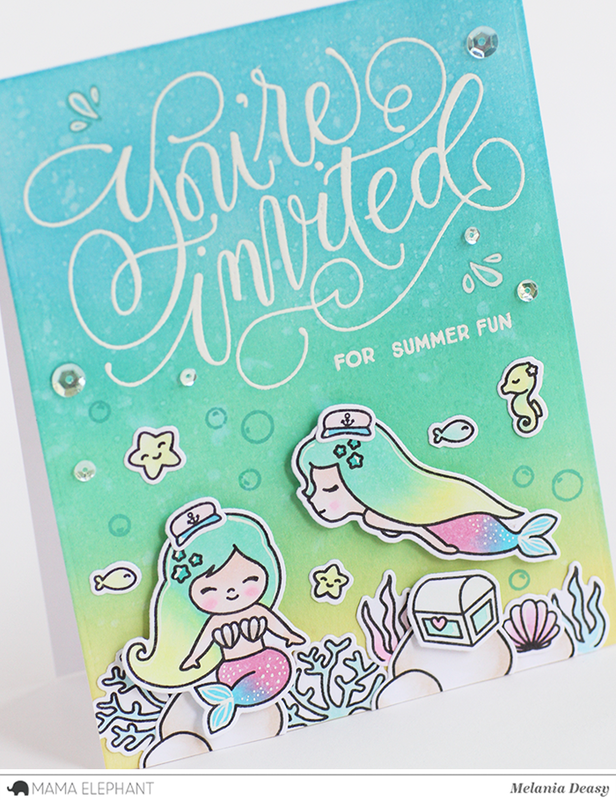 Omg, those tiny hats on the mermaids are so cute I can't stand it! 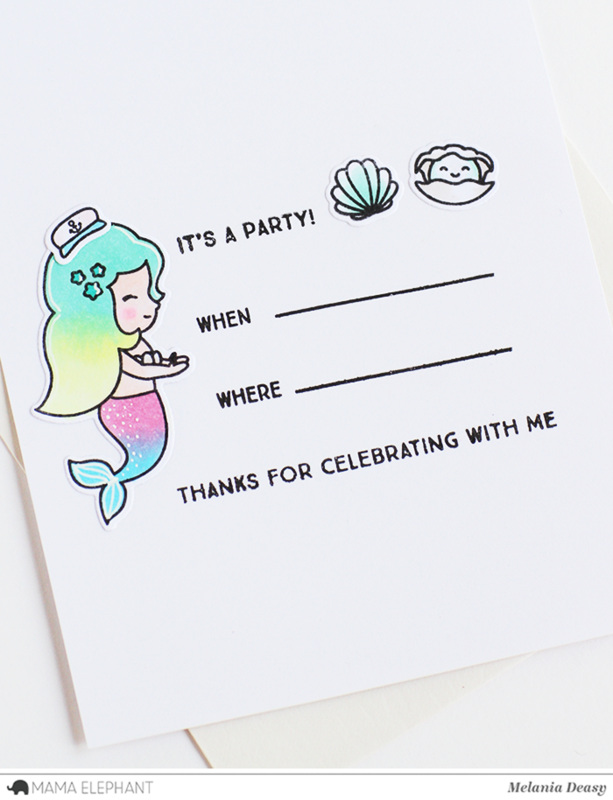 I love this invitation! Sweet. What a great invite and scene. Love this.